The American Legal System is stacked against the poor, and persons of color. Whether the case is Civil or Criminal, a minority defendant pays a “Black Tax” on the outcome of the trial proceeding based on the sometimes intentional, and often subconscious bias of the jury. As such a Jury Trial is not the shield for the innocent it is for white defendants. The process of racial Jury “stacking” has been exposed before, and addressed by the Appellate and Supreme Court. Yet it continues. Perhaps, in addition to the focus on Law Enforcement, BLM and other organizations need to attack the system at it’s very roots – the Judicial. SHREVEPORT, La. — Here are some reasons prosecutors have offered for excluding blacks from juries: They were young or old, single or divorced, religious or not, failed to make eye contact, lived in a poor part of town, had served in the military, had a hyphenated last name, displayed bad posture, were sullen, disrespectful or talkative, had long hair, wore a beard. 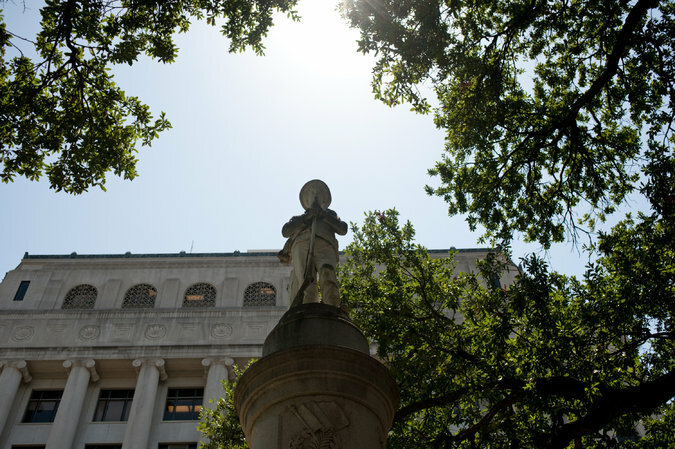 In Louisiana’s Caddo Parish, where Shreveport is the parish seat, a study to be released Monday has found that prosecutors used peremptory challenges three times as often to strike black potential jurors as others during the last decade. That is consistent with patterns researchers found earlier in Alabama, Louisiana and North Carolina, where prosecutors struck black jurors at double or triple the rates of others. In Georgia, prosecutors excluded every black prospective juror in a death penalty case against a black defendant, which the Supreme Court has agreed to review this fall. 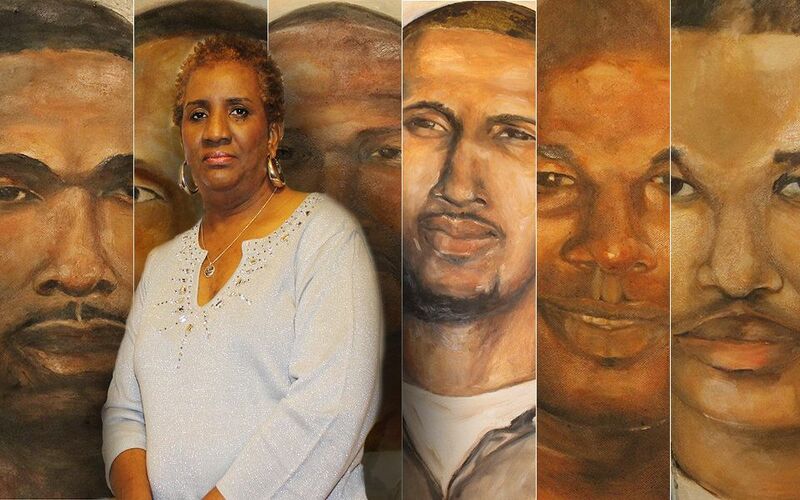 “If you repeatedly see all-white juries convict African-Americans, what does that do to public confidence in the criminal justice system?” asked Elisabeth A. Semel, the director of the death penalty clinic at the law school at the University of California, Berkeley. As police shootings of unarmed black men across the country have spurred distrust of law enforcement by many African-Americans, the new findings on jury selection bring fresh attention to a question that has long haunted the American justice system: Are criminal juries warped by racism and bias? But many prosecutors and defense lawyers said peremptory strikes allow them to use instinct and strategy to shape unbiased and receptive juries. “I’m looking for people who will be open, at least, to my arguments,” said Joshua Marquis, the district attorney in Astoria, Ore. Reprieve Australia, a group that opposes the death penalty and conducted the Caddo Parish study, said the likelihood of an acquittal rose with the number of blacks on the jury. No defendants were acquitted when two or fewer of the dozen jurors were black. When there were at least three black jurors, the acquittal rate was 12 percent. With five or more, the rate rose to 19 percent. Defendants in all three groups were overwhelmingly black. Prospective jurors arriving at the courthouse here walk past a towering monument to the Confederacy, featuring grim likenesses of four Confederate generals. Carl Staples, a 63-year-old African-American, recalled how the monument made him feel when he reported for jury duty. “It dashes your hopes,” he said, taking a break at the gospel radio station where he works as an announcer. “It has its roots in the ideology of white supremacy.” He said much the same thing during jury selection in a 2009 death penalty case, and that played a part in his dismissal for cause. This one is about the school to jail system in St Louis County, Missouri. St Louis County is not an exception – it is a lot closer to the norm than many would like to think.. Racial disparities eist at almost every level – from who is charged for what, the severity of the crime charged for, decisions as to who may be granted bail and must be held in detention – to access and availability of legal representation. Indeed, the entire legal system in America is corrupt. As such, the BlackLivesMatter movement is much more than just a movement in response to police overreach and brutality – it is, and mst be, a reaction to a system which is broken from top to bottom. The “Justice” systemhas failed, and is now nothing more than legalized, state sponsored, Domestic Terrorism. American “Justice” – Slavery by another name. The Justice Department cast the St. Louis County, Mo., law enforcement system in a harrowing light in March when it documented entrenched racism and unconstitutional policing in the town of Ferguson, which erupted in riots last year after a white police officer killed Michael Brown, an unarmed black teenager. Now comes another Justice Department report, issued last week, documenting equally deplorable violations in the county’s juvenile court system, where children, often without basic legal representation, are routinely railroaded and mistreated. The department opened the investigation in 2013 to protect the constitutional rights of children in the justice system and to discourage unnecessary incarceration. The department has undertaken similar investigations in Mississippi, Tennessee and Texas. In St. Louis County, officials examined 33,000 juvenile court cases over a three-year period and found that the system regularly treats black children more harshly than white children and routinely denies indigent children — no matter their race — basic constitutional rights. After controlling for relevant factors, including the severity of the offenses involved, a Justice Department analysis found that “black children are subjected to harsher treatment because of their race.” For example, black children were two-and-a-half times as likely as white children to be held in custody before their trials. Black children were also more likely to be placed in the custody of the juvenile system than white children were and less likely to be diverted into community-based programs. White children were significantly more likely to get less restrictive sentences, like probation with services provided to them at home. This disparate treatment may not be intentional, but it is clearly racist in its effect. The Supreme Court has ruled that states must provide lawyers to defendants who can’t afford them and that juveniles have the same rights as adults. But the very structure of St. Louis County’s family court system seems designed to deny due process and representation. The children who go before the court do not get a truly independent advocate who looks after their interests. Investigators found that low-income children, who are legally entitled to court-appointed representation, are shortchanged at every turn. For starters, there is only one public defender for juveniles in the entire county. A result is a staggering caseload for that one lawyer, who cannot possibly meet the needs of hundreds of children. For some who are not eligible for the public defender’s services, a family court judge will appoint a lawyer and order the parents to pay a “retainer”; often, cash-strapped parents persuade a child that no lawyer is necessary. Moreover, more than half of the lawyers who represented detained children entered the cases many days or weeks after the child’s detention hearing — too late to be of much help. This appalling situation means that many juveniles are essentially representing themselves in complex legal proceedings that typically require them to plead guilty. Some of these children face the possibility of being transferred to adult courts, where a guilty verdict could have lifelong consequences. This is inconsistent with the Constitution and with basic principles of human decency. The report offers dozens of recommendations for remaking this egregious system, starting with developing a strategic plan that sets clear goals to end discriminatory treatment at all points. As part of that process, the court has to train its employees to understand “the subtle ways that racial bias, conscious or unconscious,” affects policy and practice, the report says. One absolutely essential step is for the county to create a defense system for poor juveniles that passes constitutional muster and affords them access to competent representation. The Justice Department should haul the county into court if it fails to make these changes.